Skateboarding fans eager to experience the second game in EA's Skate series will find satisfaction in the coming week, as the company announces a Skate 2 demo for the Xbox 360 and PlayStation 3. The Skate 2 demo features both single player modes as well as two of the game's online party play modes - Thrasher's Hall of Meat and Spot Battle. The Hall of Meat is a challenge to see who can hurt themselves the most, and Spot Battle is where players...do battle...on spots. Probably not. Either way, there'll be plenty to do. The Skate 2 demo will be hitting Xbox Live tomorrow, January 8th, while the PlayStation 3 version is taking up the rear on the 15th. Or you could just wait until the 21st and buy the whole thing. I'm not going to tell you how to live your life. A skater has to make their own way. REDWOOD CITY, Calif.—(BUSINESS WIRE)—Black Box, an Electronic Arts Inc. studio (NASDAQ: ERTS) announced today that the Skate 2 demo will hit Xbox Live Marketplace on January 8th and the PlayStation Network on January 15, 2009. The demo introduces players to the city of New San Vanelona where they can skate with style and individuality via access to the enhanced character customization tools. Gamers will get a first glimpse of the deep single-player story and exciting challenges in all-new locations. The Skate 2 demo will also feature two of the game’s online Party Play modes: Thrasher’s Hall of Meat and Spot Battle. Skate 2 ups the ante in delivering all the grit, creativity and culture of skateboarding. Equipped with double the bag of tricks, players are tasked to rebuild their career and revive the skate scene. Now with the ability to get off-board and move objects, gamers can create their own epic spots and challenges, which can then be uploaded, shared and experienced by others around the world. Skate 2 hits retailers in North America on January 21st, and worldwide on January 23, 2009 – making it one of the first must-have games of 2009. 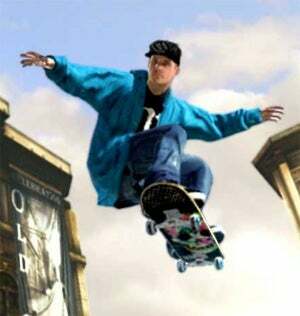 Skate 2 is developed by Black Box, a studio of Electronic Arts in Vancouver, British Columbia and will be available on the Xbox 360® video game and entertainment system and the PLAYSTATION®3 computer entertainment system. The game is rated “T” for Teen by the ESRB and is rated 16+ by PEGI.